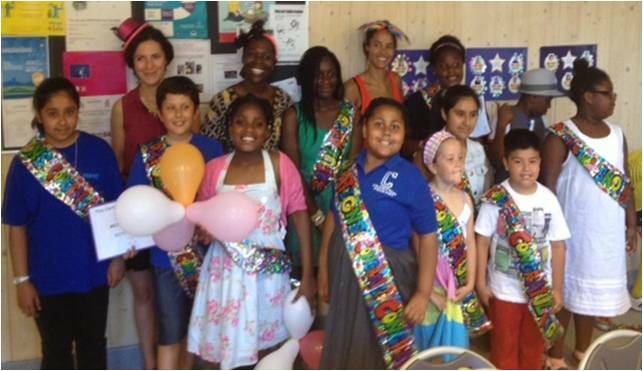 Jubilee Hall Trust’s latest MEND programme for 7-13 year olds has just finished and nine children ‘graduated’. Sessions were delivered at Rye Oak primary school in Southwark, and the excellent results showed that all children improved in all eight measures used (e.g. Body Mass Index, waist circumference, number of sedentary hours per week, etc). Southwark has the highest rate of child obesity in England, so it is very encouraging to be part of helping children and families live a healthier lifestyle. Practical activities such as the Supermarket Tour, where they visited a local supermarket and learned to read labels and choose healthier alternatives, as well as the Food Fest, where they tried new exciting MEND friendly foods, are great additions to the theoretical aspect of the programme and really help families to put knowledge into practice. The programmes are part-funded by Public Health Southwark and partly by funds generated by Jubilee Hall Trust from the surpluses at our gyms. Our next MEND programme for 7-13 year olds starts on 7th October at Rye Oak school.